Prasenjit K Basu is a Singapore-based economist, formerly chief economist for Southeast Asia & India at Credit Suisse First Boston, chief Asia economist at Daiwa Securities and global head of research at Maybank group. Basu speaks to Aditi Phadnis about his latest book, Asia Reborn: A Continent Rises from the Ravages of Colonialism and War to a New Dynamism. Your book is a modern economic and political history of the whole of Asia, told from an Asian perspective. Where do Pakistan and Afghanistan figure? 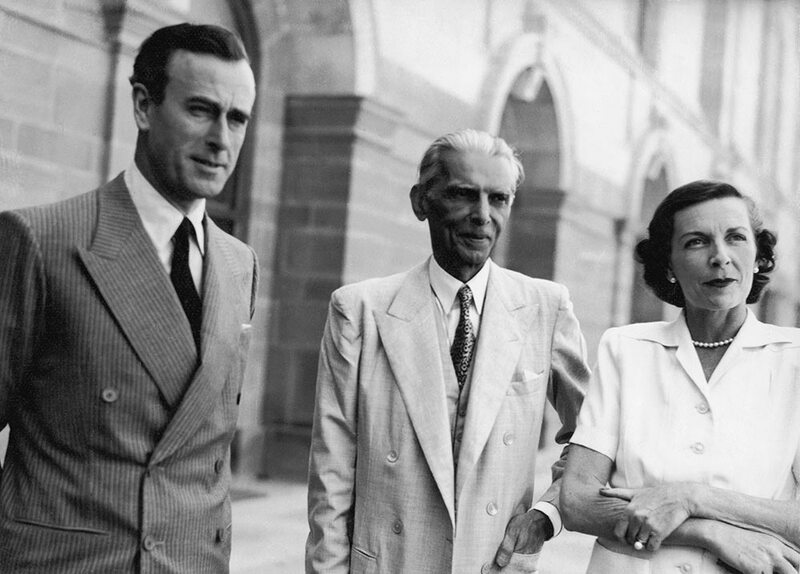 The creation of Pakistan was integral to Britain's grand strategy. If they were to ever leave India, Britain's military planners had made it clear that they needed to retain a foothold in the NWFP (North West Frontier Province) and Baluchistan, because that would provide the means to retain control of Iran (where BP's predecessor, the Anglo-Persian Oil Company, owned oil reserves), Iraq (where a British puppet monarchy enabled tight British control of the Iraqi Petroleum Co.) and the potentially oil-rich British protectorates of Kuwait, the Trucial States (now the UAE), Bahrain and Qatar. The problem for Britain was that the NWFP had elected Congress governments in both 1937 and 1946, and the NWFP delegation had entered the Constituent Assembly of India in December 1946 (defying the Muslim League's call to boycott it). The sordid story of how Nehru caved into Dickie Mountbatten's sly entreaties (with more than a little help from Edwina) to persuade Jawaharlal to agree to a referendum in the NWFP -- which Ghaffar Khan's Khudai Khidmatgars boycotted -- is one of the tragedies of the period. Khan Market in Delhi is named for Ghaffar Khan. But that is little recompense for what happened to the Pathans on both sides of the Durand Line over the past 70 years. Badshah Khan himself was largely confined to Pakistani jails for the rest of his life, in order to ensure that the ISI could subvert the peaceable Khudai Khidmatgars and instead train vast cadres of jihadi terrorists -- first the mujahideen led by Gulbuddin Hekmatyar, then the Taliban and Haqqani network, and later Osama bin Laden's Al Qaeda. Pakistan remained a dominion until 1956, but duly followed its strategic destiny by joining the Baghdad Pact and CENTO. Its first election was to be held in 1959, but it became clear by 1958 that 'left wing' and pro-India parties like the ANP (Awami National party) in the NWFP, Mujib(-ur Rehman)'s Awami League, the Jiye Sind led by G M Shah and Ghous Bux Bizenjo's party in Baluchistan would win the election. So a military coup was mounted by Ayub Khan in 1958, with the connivance of the Americans, who made a Faustian bargain with Pakistan's army, allowing it to retain effective power in exchange for the US gaining access to British military bases in Pakistan -- such as the one Gary Powers took off from in Peshawar before his U-2 spy plane was shot down over the Soviet Union in 1960. One of your theories is that the parts of Asia that were ruled by Japan (Taiwan, Korea, Manchuria and coastal China including Hong Kong) are the most prosperous today, while the parts that were ruled by Britain the longest (Bangladesh, Bengal, Odisha, Bihar, eastern UP, coastal Andhra) are the poorest. The prosperity of Japanese-ruled parts of Asia isn't a theory, it is just a fact. The CIA acknowledged in 1950 that Manchuria and Taiwan (respectively controlled and ruled by Japan for 40 and 50 years) were by far the most prosperous parts of Asia at the time (other than Japan itself). The only parts of China today that are industrialised are precisely those that Japan ruled. And because Japan ruled all of coastal China, the Western powers gave up their century-long treaty port rights in 1943, facilitating the genuine independence of China after the war. Similarly the parts of Asia ruled by Britain the longest are poorest, partly because they were looted more thoroughly, and subsequent investments were minimal in those areas -- which also experienced the horrific famine of 1943-44. The French and Portuguese enclaves in India were tiny, and so cannot be compared with the rest of India. The parts of Asia that the Portuguese ruled (East Timor, Macau, Goa, and 150 years each in Ceylon and Malacca in Malaysia) left no visible imprint of industrialisation, although Goa and Macau developed tourism sectors (mainly after the Portuguese had left Goa, and based on gambling in Macao). 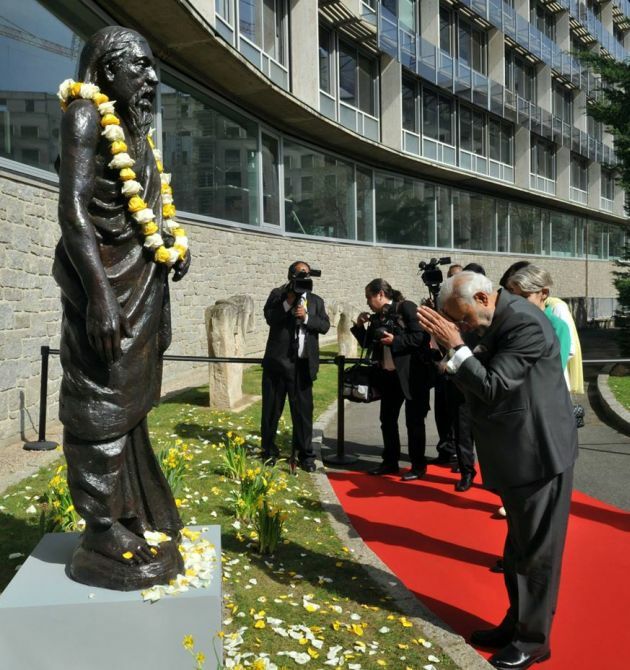 Pondicherry benefitted from the influence of the Hindu sage Sri Aurobindo, who was one of the leaders of the often violent nationalist response to the first partition of Bengal. French-ruled Vietnam, Laos and Cambodia were noticeably less industrialised than the Japanese-ruled parts of Asia in the first half of the 20th century. Agrarian reform in the Japanese-ruled areas also delivered agricultural prosperity there, in stark contrast to the rural poverty that pervaded European-ruled Asia. Your hypothesis is also that the British Indian armed forces were vital to holding the European empires together across Asia (from the Opium wars to the Boxer rebellion to World War I and World War II, and especially their aftermath). But Nehru dissipated this legacy. Please explain. 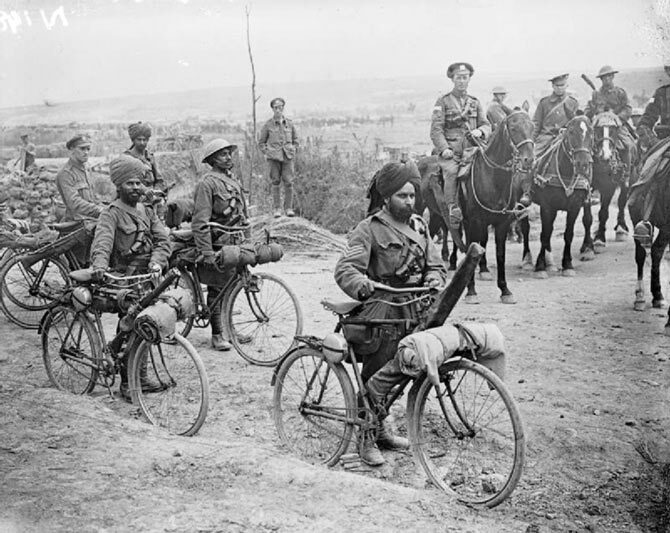 The importance of the British Indian armed forces to the Allies became evident in WWI, with Indian soldiers playing the key role in Allied victories in Jerusalem, Haifa and Damascus, and the British defeats at Gallipoli (one of Churchill's follies) and Kut al-Amara in Iraq (with horrific humanitarian consequences for the Indian soldiers during and after the long Siege of Kut). In WWII, Indian troops played key roles in the illegal invasions of Iraq (which was supposedly independent; its elected PM Rashid Ali al-Gaylani wished to stay neutral in the war, but was instead ousted via the 1941 invasion) and Iran (where the modernising reformer Reza Shah was ousted in September 1941 by a joint Anglo-Soviet invasion, with Indian troops playing the key part in Britain taking control of southern Iran, where APOC owned the oilfields). Jawaharlal was a brilliant historian: his Glimpses of World History is a masterpiece. But his naïveté on statecraft was astounding, as if his knowledge of history was somehow utterly separated from his approach to governance and foreign policy. While Patel saw clearly that India's traditional role as Tibet's main ally (and the only country with four consulates in Tibet, while China had no representation in 1950) was essential to India's security, Jawaharlal allowed China to invade and occupy Tibet -- while doing nothing militarily or diplomatically to thwart this thrust from a rogue Communist regime that most of the world didn't recognise as legitimate at the time. More broadly, the British Indian army and navy should have inherited Britain's paramountcy in the Indian Ocean area. Pakistan was created to enable Britain to retain its paramountcy in West Asia -- which was part of a continuum of military control that took in Ceylon, Malaya, Singapore, Australia and New Zealand. But Suez (1956) demonstrated that Britain's military power was hollow without the Indian army -- and Britain soon began to abandon Ghana (1956), Malaya (1957) and other colonies; it wasn't a surprise that 1956 was also the year that Pakistan ceased to be a dominion. This was when India needed to step into the strategic breach across the Indian Ocean. Instead Nehru pursued his quixotic dreams of leading a non-aligned bloc, while utterly neglecting the military. By giving the defence ministry to (V K) Krishna Menon (who was thoroughly distrusted by Gandhi, Patel and Azad, who recognised him as a 'Communist fellow traveller') Nehru invited the disaster of 1962 by under-funding the military while strutting forward unprepared along the border. The failure to use air superiority was another glaring strategic error in 1962 (the mirror image of how US air power enabled the allies to win the battles of Kohima and Imphal in 1944). 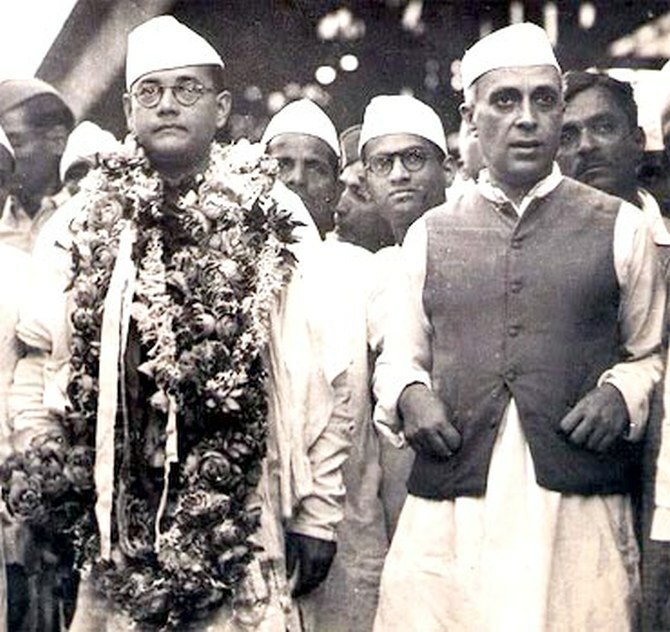 IMAGE: Netaji Subhas Chandra Bose with Jawaharlal Nehru. You feel that not enough attention has been paid to the role of militant outfits like the Indian National Army of Subhas Chandra Bose and the Ghadar party in the Independence movement which undermined the loyalty of the British Indian armed forces by sparking the RIAF and RIN mutinies in 1946 that forced Britain to abandon its long term plans for its Indian empire. The biggest tumult during WWI was the Ghadar rebellion led by Hardayal, Rashbehari, Vishnu Pingle, Maulana Barkatulla and Bagha Jatin. (Gandhi, meanwhile, was recruiting Indian soldiers for the British). The Ghadar rebellion scared the British enough for them to introduce the Rowlatt Act in March 1919, despite Montague's promise of August 20, 1917 to move towards 'progressive self-government' in India. This was a nod to (US President Woodrow) Wilson's 14 Points and his central plank of 'self determination', which the British and French interpreted as not applying to their empires (and instead only to those of the defeated powers, whose territories were subjected to an Anglo-French race for control via the Sykes-Picot plan). During WWII, Gandhi's Quit India call of August 1942 was crushed by a British military response, and the jailing of the top and middle leadership of the Congress, which was thus rendered moribund until 1945. Half a million Indians joined the British armed forces in August-December 1942, demonstrating the impotent failure of the Quit India call. But India's fight for independence continued in south-east Asia under the leadership of Subhas Bose, who created a provisional government of Free India (74 years ago on October 21, 1943) which was fully financed by Indians in the region, and had its own gold-backed currency. The INA raised the flag of free India over Moirang in Manipur in April 1944, with Moirembang Koireng Singh (who would later become Manipur's first chief minister) leading its Manipuri allies, and A Z Phizo leading the Naga contingent in the INA. The British had kept a tight lid on information about the INA's military victories and losses. But when the INA trials began in November 1945, the people of India heard for the first time about this freedom army of men and women, soldiers and civilian recruits who had fought doughtily for our freedom. Within a fortnight, the governors of Punjab and NWFP were beseeching (British Viceroy Field Marshal Archibald) Wavell to call off further trials of INA soldiers, for fear of a full scale rebellion in the key recruiting grounds of the British Indian army. Far from sentencing them to death for high treason, Dhillon-Sahgal-Shahnawaz were acquitted on January 4, 1946, in the hope of keeping a lid on the brewing mutinous sentiment in the armed forces. But 5,200 personnel of the Royal Indian Air Force still mutinied in January, and the HMIS Talwar spurred a mutiny in the Royal Indian Navy on February 8, 1946, which spread to 78 of the 88 ships of the RIN by 18th February -- and to every one of the RIN's ports. On 19th February evening, (British Prime Minister Clement) Attlee announced in the (House of) Commons that he would send three of his senior-most colleagues to negotiate India's freedom. The well laid out plans for holding India until 1960, and retaining a solid British commercial foothold through Divide and Rule, lay shattered. Like every other major nation, India ultimately threw off the shackles of colonial rule through military means (although ahimsa had played a key role in mass mobilisation in 1920-21). What can India learn from the development economics of the South East Asian countries? The South-East Asian economies, led by Singapore and later emulated by China, sought to attract FDI by multinational corporations (and overseas Chinese businessmen to China). The more appropriate model for India will be the model of Japan, Korea and Taiwan. 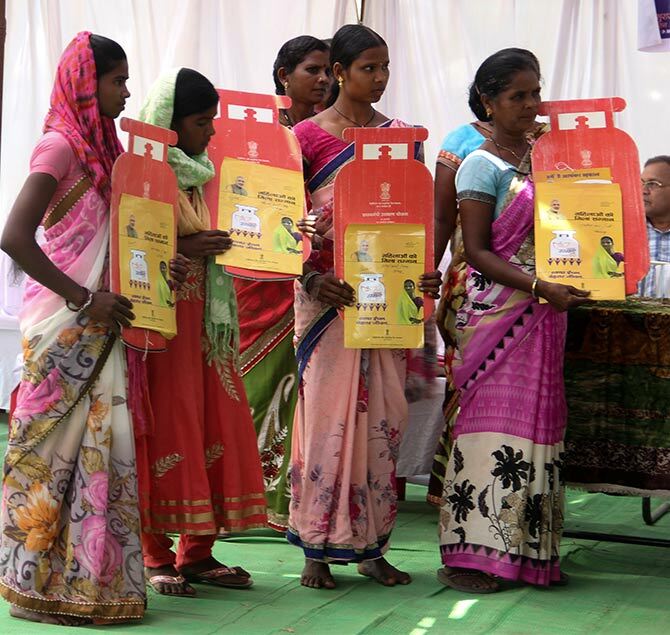 Like them, India has a large entrepreneurial community that can be induced to participate in industrial development. c. The bureaucracy develops long-term expertise in key areas of industrial development (skills training, labour market flexibility and redeployment, technology imports and R&D) and public enterprises are led by specialist managers with long term mandates to make them world class (and to privatise partly or wholly if that is the only means to turn around a chronic loss maker). Additionally, our Constitution hobbles social development (public health, nutrition, education, etc.) by making them all state subjects, while giving all the revenue-raising power to the Centre. This is a problem that Japan, Korea and Taiwan never had to confront. Without universal literacy, and the basic levels of health and sanitation necessary to a modern existence, we cannot expect to achieve the 10% annual economic growth that our demographics should be delivering at this stage. That land reform in India was uneven is an impediment (relative to Japan, Korea and Taiwan) but not insurmountable. But rapid industrial growth is still needed to move people from low marginal-productivity agriculture to labour intensive manufacturing (the first stage of industrial development that India has largely skipped). Vietnam, Bangladesh and Cambodia are now demonstrating that labour intensive manufacturing still has a role. The self serving consensus that has emerged in India about robotics and artificial intelligence precluding the basis of labour intensive manufacturing is empirically unsound, in my view. Those working in IBM's artificial intelligence lab, for instance, will tell you that the human element of work will never be completely eliminated. The need for labour market reform identified in the BJP's 2014 election manifesto still remains relevant today, although it has only been modestly implemented in five states.